110 Marlborough is located on the south side of Marlborough, between Clarendon and Dartmouth, with 108 Marlborough to the east and 112 Marlborough to the west. 110 Marlborough was built ca. 1868 for Charles William Freeland for speculative sale, one of eleven contiguous houses (110-130 Marlborough) built on a parcel 198 feet wide which he purchased from the Commonwealth of Massachusetts on October 26, 1868. Click here for an index to the deeds for 110 Marlborough. On March 23, 1870, 110 Marlborough was purchased from Charles Freeland by Rev. George Edward Ellis. His brother, Rev. Rufus Ellis, lived at 106 Marlborough. George Ellis was former pastor of the Harvard Unitarian Church in Charlestown. He previously had lived temporarily at 2 Commonwealth with dry goods merchant James Lovell Little and his wife, Julia Augusta (Cook) Little. George Ellis’s son, John Harvard Ellis, had married the Littles’ daughter, Grace, in March of 1869. and George Ellis’s wife, Lucretia Goddard (Gould) Ellis, had died in July of 1869. He retired from the church and moved to Boston, living with the Littles until his purchase of 110 Marlborough. In 1885, he became President of the Massachusetts Historical Society. George Ellis continued to live at 110 Marlborough until his death in December of 1894. In his will, he left 110 Marlborough and substantially all of its contents to the Massachusetts Historical Society. On August 30, 1895, 110 Marlborough was purchased from the Massachusetts Historical Society by Miss Ellen Upton. She had lived at 275 Clarendon. 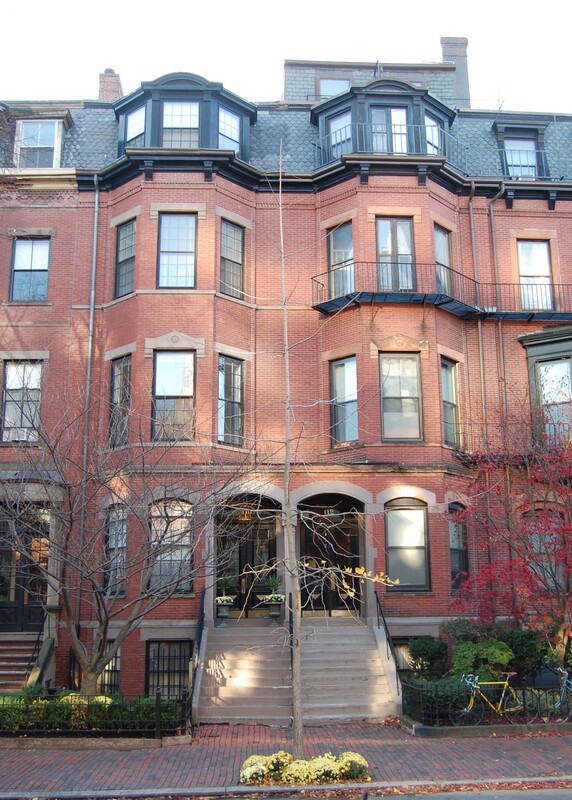 She continued to live at 110 Marlborough until her marriage in April of 1898 to George Philler, a widower. He was president of the First National Bank in Philadelphia, where they lived after their marriage. 110 Marlborough was not listed in the 1899-1902 Blue Books. On April 26, 1902, 110 Marlborough was purchased from Ellen (Upton) Philler by Grace (Littleton) Cushing, the wife of attorney George Marston Cushing. They previously had lived at 41 Chestnut. They continued to live at 110 Marlborough during the 1907-1908 winter season, but moved soon thereafter to Milton. On September 30, 1908, 110 Marlborough was purchased from Grace Cushing by Laura Ann (Etnier) Austin, the wife of Dr. Arthur Everett Austin. They previously had lived in Newton. Arthur Everett Austin was a physician and professor medical chemistry and toxology at Tufts Medical School. The Austins’ only son, Arthur Everett (“Chick”) Austin, Jr., became a noted art historian and museum director. At about the same time as they purchased 110 Marlborough, Dr. Austin accepted a position as professor of medical chemistry and toxology at the University of Texas and moved to Galveston. 110 Marlborough was not listed in the 1909 Blue Book, and during the 1909-1910 winter season, it was the home of William Henry Bowker, president of the Bowker Fertilizer Company, and his wife, Charlotte Jeanette (Ryder) Bowker. They previously had lived in Concord. They had moved to 265 Clarendon by the 1910-1911 winter season. The Austins returned to Boston by the 1910-1911 winter season and took up residence at 110 Marlborough. Dr. Austin maintained his offices there until about 1920. By 1921, he had moved his office to 144 Commonwealth, and by 1923 to 270 Commonwealth. During the 1922-1923 and 1923-1924 winter seasons, the Austins were traveling abroad and 110 Marlborough was the home of Herbert Frederick French and his wife, Edith (MacGregor) French. 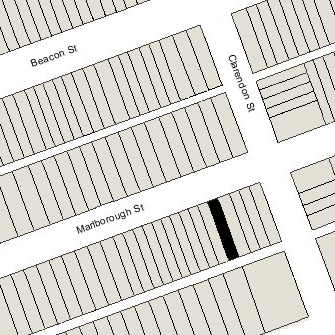 They previously had lived at 167 Marlborough and maintained their primary residence in Randolph. He was a certified public accountant, specializing in the shoe and leather business, and president of the Randolph Savings Bank. By the 1924-1925 winter season, Dr. Austin had returned and was living in an apartment at 270 Commonwealth (where he also continued to maintain his office). His wife and son remained abroad and 110 Marlborough was the home of Henry Maynard Rees and his wife, Eliza Pugsley (McKeehan) Rees. They previously had lived in Cleveland, and, before that (following their marriage in September of 1920), had lived at 346 Marlborough. A physician by training, he was an investment broker, and later would become director of medical research for the John Hancock Life Insurance Company. By the 1925-1926 season, they had moved to 405 Beacon. Arthur Austin resumed living at 110 Marlborough during the 1925-1926 winter season. Laura Austin and Arthur Austin, Jr., remained abroad but had returned by the 1926-1927 season. In 1927, Arthur Austin, Jr., became director of the Wadsworth Atheneum in Hartford. The Austins continued to live at 110 Marlborough and also maintained a home in Windham, New Hampshire. He died in August of 1938. Laura Austin continued to live at 110 Marlborough until 1940, but moved soon thereafter, probably to their home in Windham which was her residence at the time of her death in September of 1944. 110 Marlborough was shown as vacant in the 1940-1949 City Directories. On August 23, 1946, 110 Marlborough was purchased from Laura Austin’s estate by real estate dealer Willard Welsh. The property changed hands, and on December 30, 1946 was acquired by real estate dealer Paul Gerard Donahue. In September of 1947, he filed for permission to convert it from a single family dwelling into a fraternity house for the Boston University chapter of Kappa Phi Alpha. It is unclear whether the permission was granted or the fraternity ever occupied the house. On November 23, 1948, 110 Marlborough was acquired from Paul Donahue by William D. Beers. That same month, he filed for permission to convert the property from a single-family dwelling into three apartments. He abandoned the application and in January of 1948, filed a new application (which was subsequently granted) to convert the property into five units. On May 9, 1949, 110 Marlborough was acquired from William Beers by John Stevenson and his wife, Jennie Ambrose (Tripp) Stevenson, who lived in one of the apartments. They previously had lived in Medford. They continued to live at 110 Marlborough until about 1955, when they purchased and moved to 7 Fairfield. The sold 7 Fairfield in April of 1960 and moved back to 110 Marlborough, which they continued to own. They lived there until about 1962, when they moved to 167 Marlborough. On October 9, 1962, 110 Marlborough was purchased from the Stevensons by Jon J. Feeney, employed with the Moore Business Form company. He lived in Brookline and moved to one of the apartments at 110 Marlborough, where he lived during the 1960s. By the mid-1970s, he had moved back to Brookline and was associated with the Boston Natural Food Company. On December 26, 1986, 110 Marlborough was purchased from Jon Feeney by Edgard Puente and David Boersner. 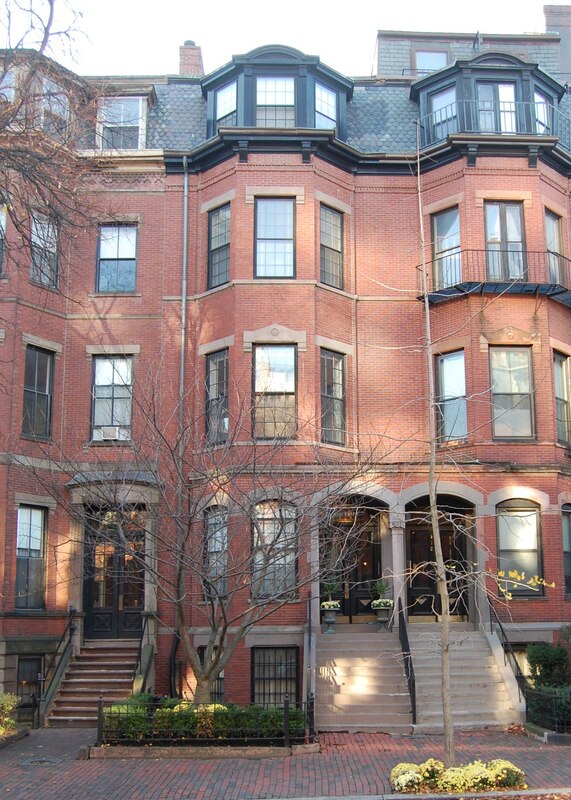 On April 14, 1987, they transferred the property to themselves as trustees of the Boston 110 Realty Trust, and on June 19, 1988, they converted the property into five condominium units, the 110 Marlborough Street Condominium.